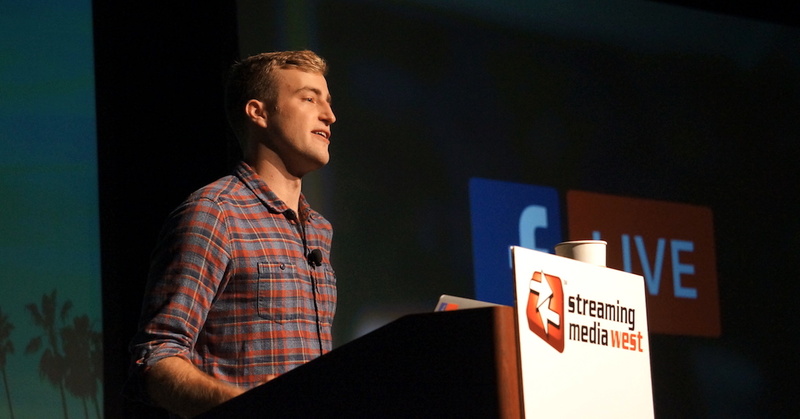 "We've put a capture and a production studio in the palm of your hand," said Nick Ruff, a software engineer on Facebook's video infrastructure team, delivering the second day keynote address at Streaming Media West 2017. Ruff took attendees deep into Facebook Live, the live video streaming platform that, while still young, has already become a daily habit for many businesses and individuals. Ruff started by explaining the Live API, which allows businesses and brands to avoid the limitations of broadcasting over a Wi-Fi or cellular network. 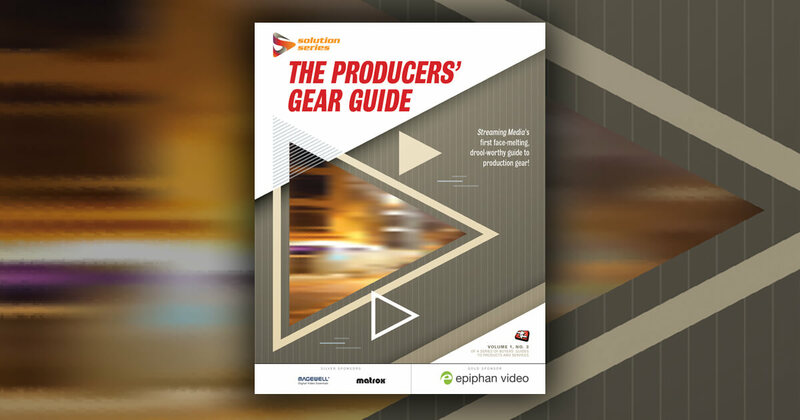 Using the Live API, companies can use professional cameras and stream directly to Facebook's servers, gaining more control over their stream and bitrate. "It’s the ability to stream directly to our server and take advantage of our distribution network," Ruff said. Facebook has been quick to upgrade its video offerings, and one new feature in the Live API is the ability to schedule live events. This lets companies collect an audience before starting a broadcast. The new Live 360 feature lets the broadcaster create immersive videos where viewers can pan around and explore. It also supports streams from drones. 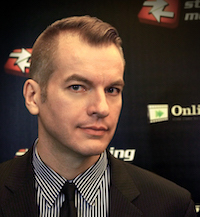 Ruff took Streaming Media West under-the-hood as he explained the new Live With feature. In Live With, a live broadcaster can pull a second person into a one-to-one discussion which is then broadcast to viewers. It's available to all Facebook members. For Facebook Live With, the big problem to solve was latency. Conversations need to seem like they're taking place in the same room, even when the two parties are across the globe. "If it was even a few seconds latency it would be too slow," Ruff said. Facebook uses RTMP broadcasting in its live video API, since it's optimized for the continuity of the stream and supports buffering. RTMP lets broadcasters adjust the encoding quality, but comes with too much latency for Live With, which demand 500 ms latency or better. The engineering team looked at RTC broadcasting, which is used in video calling. RTC assures low latency by dropping frames to avoid buffer delays. "Frame dropping is really a feature, not a bug, in this case," Ruff said. Compositor Service takes the RTMP streams from the live stream's host and guest and passes them through a jitter buffer, then a decoder, compositor, encoder, and muxer, before finally creating the composited RTMP stream. Viewers can watch the two-person stream with a picture-in-picture, landscape, or vertical view. Figures such as Kevin Hart and Oprah Winfrey have used Live With to communicate with fans. Reporters can use it in the field to answer reader questions. "It's a really authentic, kind of raw way to connect with your fan base," Ruff said. In an exclusive, Streaming Media East attendees got a first-look at Facebook Live persistent stream keys, live cross-posting, and live rewind. Watch parties aren't just for awards shows anymore. Facebook is testing a feature that makes online video viewing social. With an app that gives live streams a more produced look and a website full of helpful tips, Facebook hopes to attract video creation talent. A little planning beforehand will ensure that a Facebook Live broadcast goes smoothly. Here are tips from an experienced live event producer. Content owners can now rely on Friend MTS, MarkMonitor, and Zefr to detect infringing live or on-demand videos on Facebook. And then they can profit from them. Members around the world will be able to watch highlights as soon as a game ends, while U.S. members will be able to watch two NFL original shows.